This Works Specification contains or references the new 66/11 kV substation design and construction requirements that apply to the Contractor performing the Works, and to all materials, equipment and services provided by the Contractor. Requirements for Design and for Construction have been separated for clarity, and also to support modular use of the Specification. This document forms part of the Tender Package and later becomes part of the Contract. 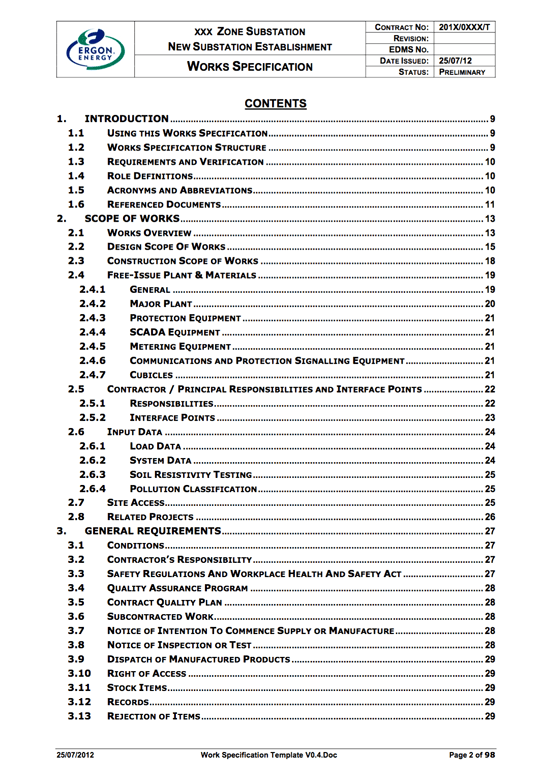 This document makes reference to Ergon Energy Substation Standards and other documents including Ergon Energy documents, Australian Standards, other standards, guides and handbooks. 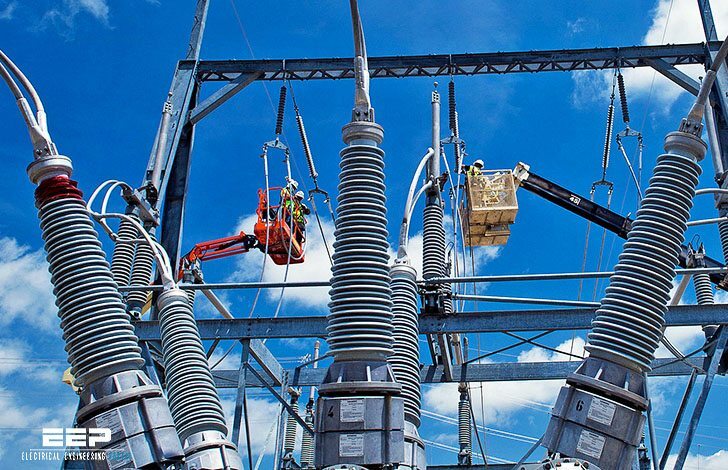 This document is used by Ergon Energy to document the general and specific requirements pertinent to each Works project, in a common, repeated format for use across all Substation projects. This project aims to establish a new 66/11 kV zone substation in accordance with this Specification, Local Authority requirements and Australian Standards. The works will be based on the concept design drawings provided by Ergon Energy (the Principal) and take into account the proposed ultimate configuration of the Substation. This document is used by the Contractor to formulate and develop a Works Program, and to outline the foreseen compliance in meeting each of the Requirements contained herein.